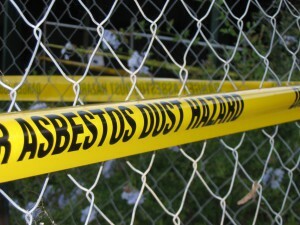 Three Miami-based contractors and four San Antonio-based subcontractors have been cited for 45 serious violations and one other-than-serious violation for exposing workers at a San Antonio construction site to asbestos hazards. The proposed penalties for these violations is $148,000. The Miami-based contractors include: Newport Property Ventures LLC, who was issued citations for 8 serious and one other-than-serious violations carrying fines of $36,100; Newport Property Construction LLC, who was issued 2 citations for serious violations with fines of $12,600; and Jamesboys Inc., who received 3 citations for serious violations carryng fines of $18,900. The San Antonio subcontractors were cited for a total of 32 violations: Alex Vega DBA Alco Painting & Remodeling received 11 citations with fines of $28,200; Luis Lozada received 8 citations carrying fines of $20,400; Frank Gonzalez received 4 citations totaling $9,600 in fines; and Clemente Covarrubias DBA Knock It Out was issued 9 citations with fines of $22,200.